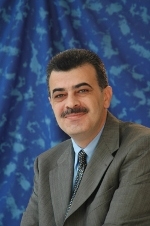 Dr. Khalid Qaraqe joined the Electrical Engineering program at Texas A&M at Qatar as an Associate Professor in 2004. Dr. Qaraqe also heads the Wireless Research Group and the Center for Remote Healthcare Technology Extension at Texas A&M at Qatar. Visit their websites for more information on their research outputs.